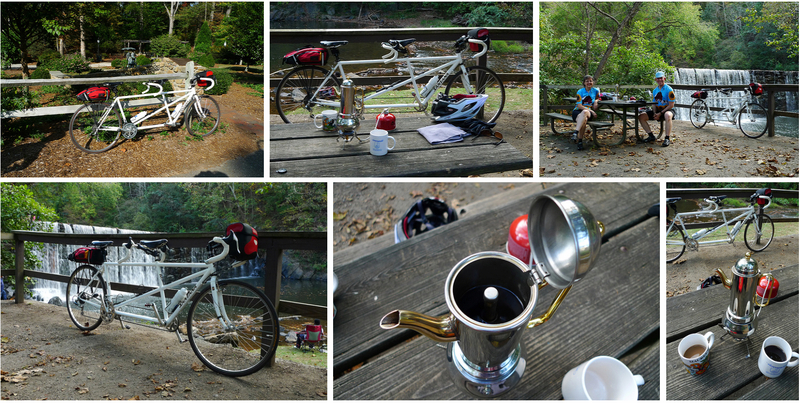 How is your coffeeneuring progressing? Leaves might be falling and temps dropping, but I have a great story that might motivate you to step outside on these shorter cooler days of fall. By the way, if you have not yet added your stops to the Coffeeneuring Destinations Map, please feel free to contact Daniel in the Northeast Regional Office of Coffeeneuring and do it! The map is shaping up nicely, thanks to everyone’s input. Now back to our guest post. 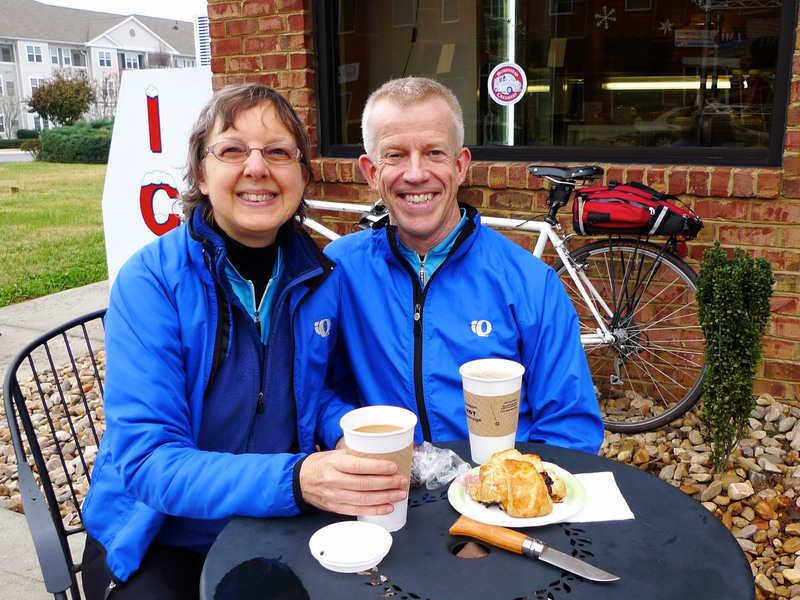 Last year’s Coffeeneuring Challenge saw the first tandem team participants, Paul and Maureen out of the Lynchburg, Virginia area. 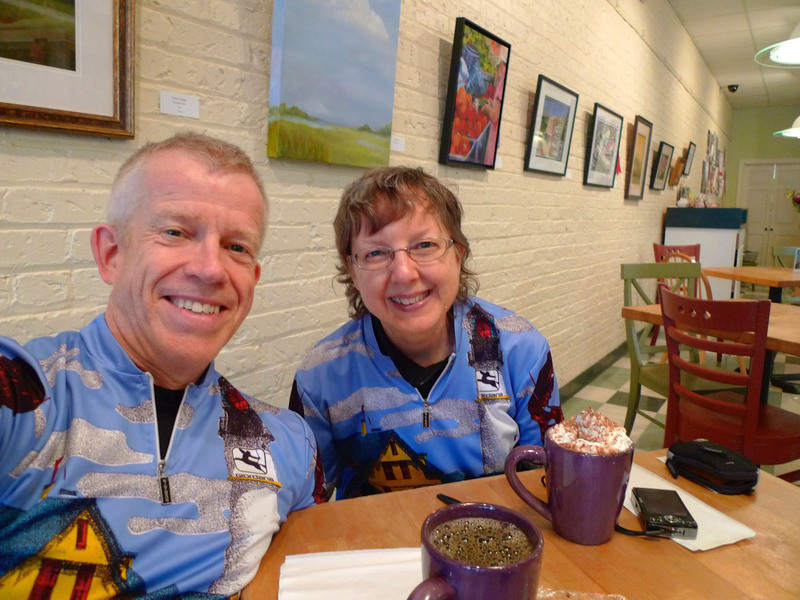 Never having visited that area before, and being a tandemnista myself, I was captivated by their coffeeneuring rides and asked if they’d be up for sharing their story. They agreed and here is the final product for your vicarious coffeeneuring pleasure. Thank you, Paul and Maureen! This has been a wonderful experience and I KNOW we were out on the tandem on weekends when we probably would not have ridden without the challenge. Over the last year and a half, with my cancer surgery and radiation, we haven’t ridden as much as we should, and that certainly wasn’t because we weren’t physically able to. So to have completed rides on seven consecutive weekends has been a delight, and an encouragement to keep the momentum going. Thanks again for sponsoring the challenge and for all the support and excitement you have generated. where you went: We opted for the Coffee Shop Without Walls option as it was Sunday in the Bible Belt and nothing else much was open, other than Starbucks, which was not how we wanted to start the challenge. 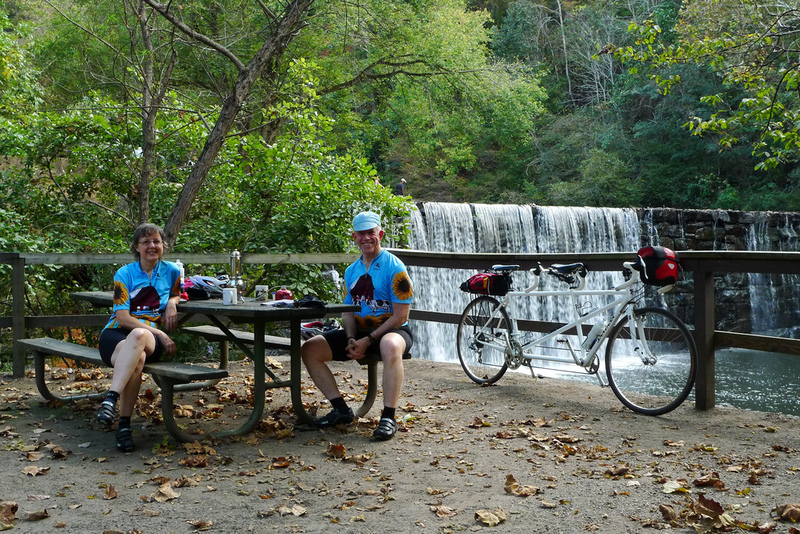 This is in Hollins Mill Park on the Blackwater Creek Bikeway. what you drank: We had french roast in a Moka Pot. 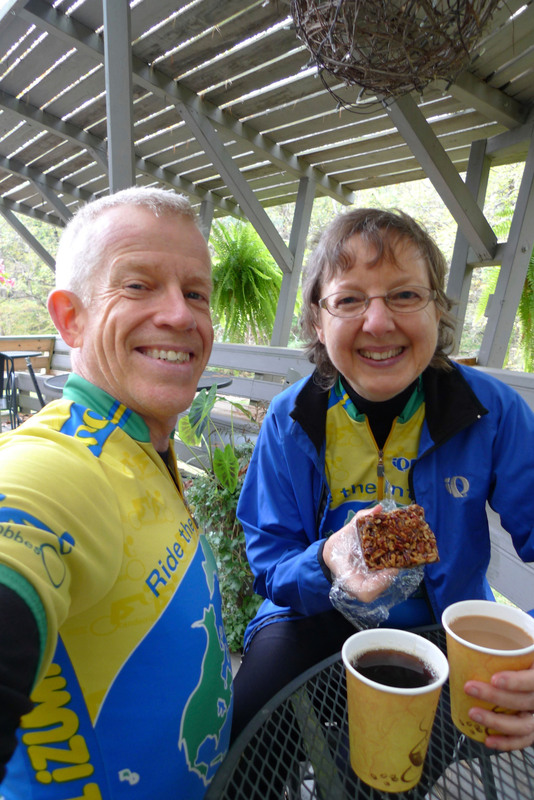 a detail or two about your coffeeneuring ride: We often ride the Blackwater Creek Bikeway and enjoy it a lot. The park is a great place for picnics in the summer. 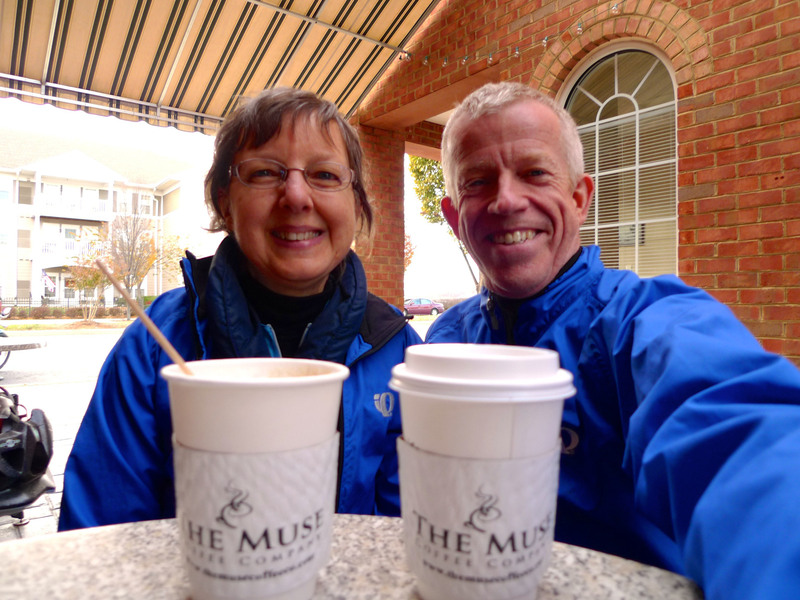 what you drank: Paul had coffee and Maureen had a Pumpkin Spice coffee with whipped cream. Decadent! what you drank: Ethiopia Sidamo for both of us, nice! a detail or two about your coffeeneuring ride: We ventured off-road somewhat, found some very mucky and slick spots, but managed to stay upright. Eventually connected with the Blackwater Creek Bikeway, and then moved onto streets to get to The Farm Basket. Returned on a shorter road route that kept us off the mucky stuff. a detail or two about your coffeeneuring ride: Forced into another Sunday ride, our options were limited. So we elected a ride that ended at one of our favorite restaurants where we had coffee and dessert. 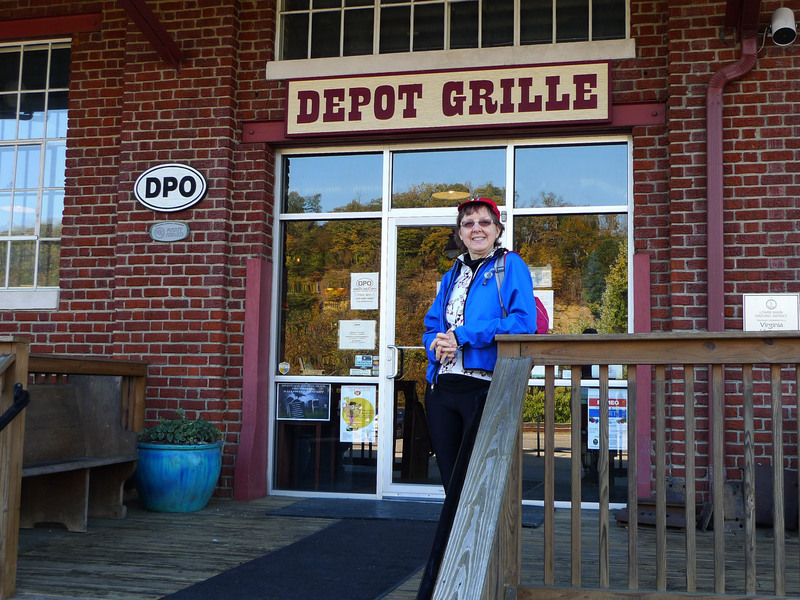 a detail or two about your coffeeneuring ride: Went to the town of Farmville and rode a portion of High Bridge Trial State Park. 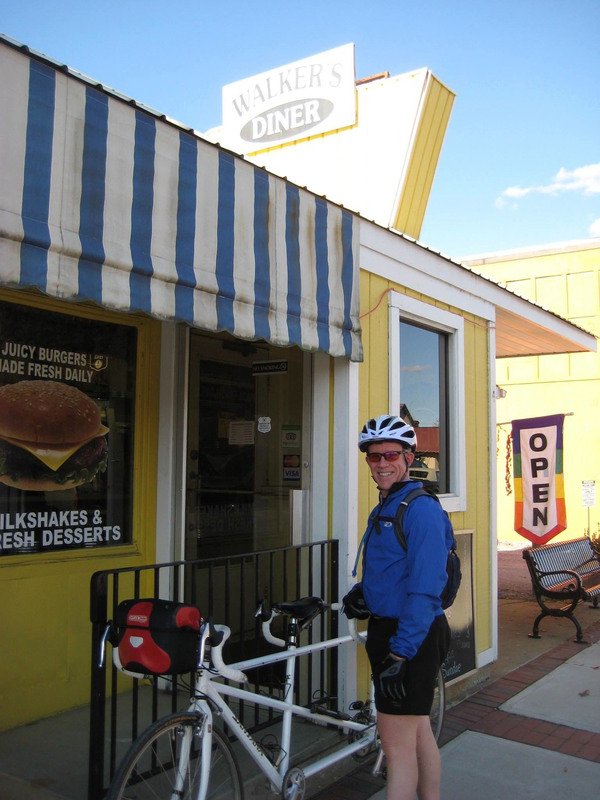 Then rode back to Farmville to go to the very cute Walker Diner. Had two regular coffees and some wonderful peach crisp and, come to think of it, a delicious veggie wrap, but not necessarily in that order. a detail or two about your coffeeneuring ride: Cold day but we combined running some errands with our coffeeneuring run, ending up at a genuine coffee shop, actually our first in the challenge. a detail or two about your coffeeneuring ride: Short ride to complete the challenge and stay ahead of the rain. 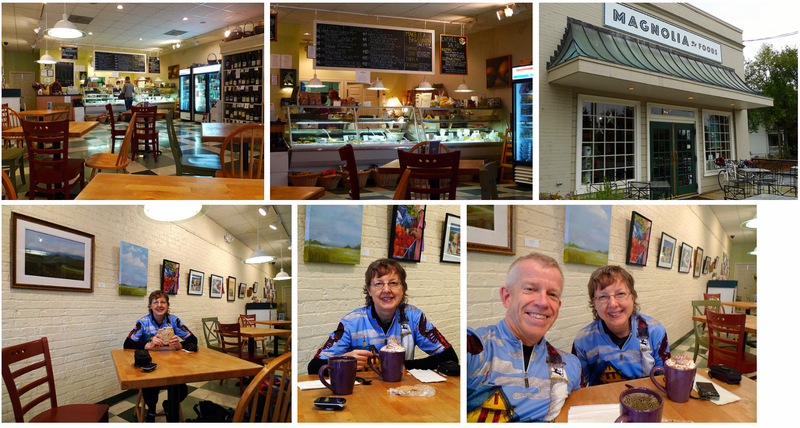 We rode to a small planned community development called Wyndhurst and visited the bakery there. While we were sitting outside enjoying our coffee we noticed that it was getting darker and more ominous looking, and so we headed for home. Thank you again, Paul and Maureen, for your excellent summary of rides and for sharing a little piece of your world with us. I hope you return to coffeeneur in 2015!